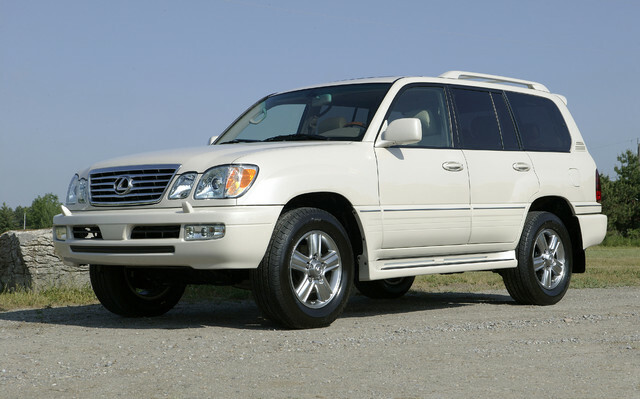 Lexus Canada today announced that it intends to conduct a voluntary safety campaign of approximately 520 2003-2007 Model Year LX 470 vehicles to address a steering shaft condition. No other Lexus vehicles are involved in this campaign. Lexus has determined that the construction of the steering shaft on involved LX 470s is such that the snap ring on the shaft may disengage when the vehicle experiences an unusually severe impact to the front wheels, such as striking a deep pothole. If the snap ring becomes disengaged and the steering wheel is then repeatedly turned to the full locked position, the steering shaft may disengage over time. Lexus Canada is not aware of any accidents related to this condition. Committed to setting a new standard for quality customer care and aggressive attention to the safety of Lexus guests, Lexus engineers have thoroughly investigated this issue and have identified a robust and durable remedy that will help prevent this condition from affecting drivers in the future. The remedy for this condition involves replacing the snap ring with a newly designed one and the installation of an additional component to prevent separation of the steering shaft. Lexus will begin sending out notification to owners of involved vehicles by first class mail beginning in mid-August 2010, advising them to bring their vehicles to their local Lexus dealer to have this remedy performed at no charge. Detailed information about this recall is available through Lexus Canada at 1-800-26 LEXUS or 1-800-265-3987 or at www.lexus.ca.